As noted, these combine to give a good picture of Hetty and there is no need to repeat all of that here. 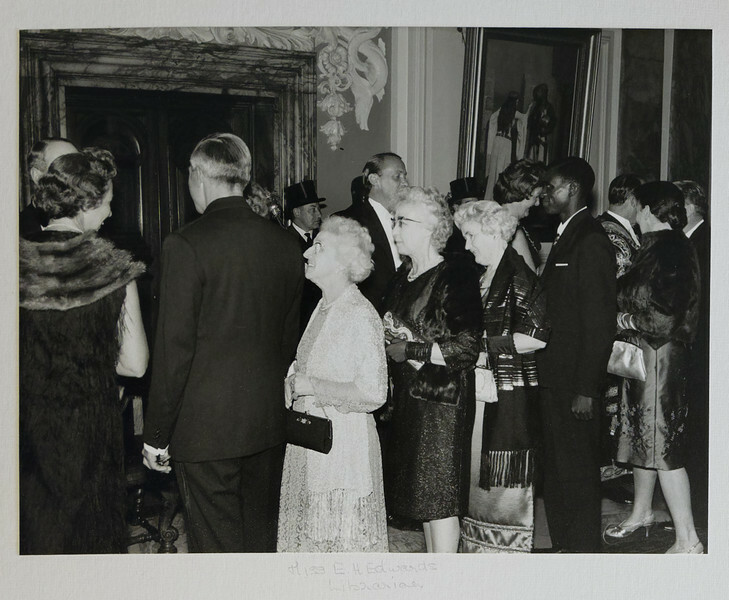 In relation to her membership of the Society, Hetty was a member for many years and for six years she served both the Museum and Society as Librarian and it is in that role that we have a picture of her at the centenary celebrations in 1967. She gave her presidential address on the topic of "People and Books" which is clearly the way she saw libraries should be, rather than just repositories. in Volume XCV of the Transactions for 1968-70 (published in 1971) she wrote a history of the Society library and described it's place within the Museum and the Librarians who had served both bodies. in that she writes. Although the Library has been in the care of the Museum Librarian since 1927, the honorary librarian has always been a member of the Society.